Who knew painted rocks would be such a big hit and spread fun and good vibes to so many? 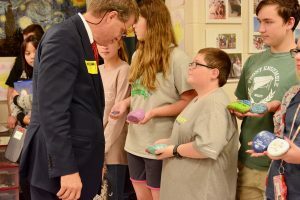 Students at Halls Middle School knew when they flagged painted kindness rocks as the project for their Kindness in the Community enrichment block class, and so did their teacher Donna Poling. Knox County Mayor Tim Burchett checks out a kindness rock held by enrichment block student Colby Cardwell. 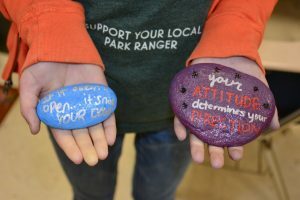 If you’re unfamiliar with the concept, folks paint rocks with inspirational or encouraging words, then hide them around the community, just waiting for someone who needs a boost to find them. Well, one of the rocks ended up at a Knox County Commission meeting, and another found its way onto Knox County Mayor Tim Burchett’s desk. 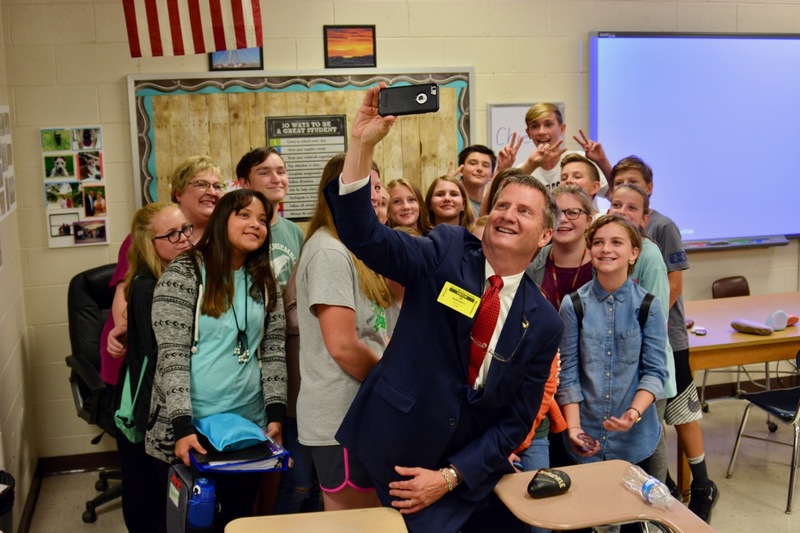 The class got a surprise visit from Burchett and Commissioner Charles Busler on Wednesday. Principal Jessica Strickland said the kindness class is part of the school’s push toward PBIS, a system of discipline that rewards positive behavior instead of just doling out punishments. One of the school’s five maxims this year is kindness. “All this came out of our discussion of how do we focus on kindness,” she said. Halls Middle School student Kelsey West holds two kindness rocks painted by the Kindness in the Community enrichment block class.